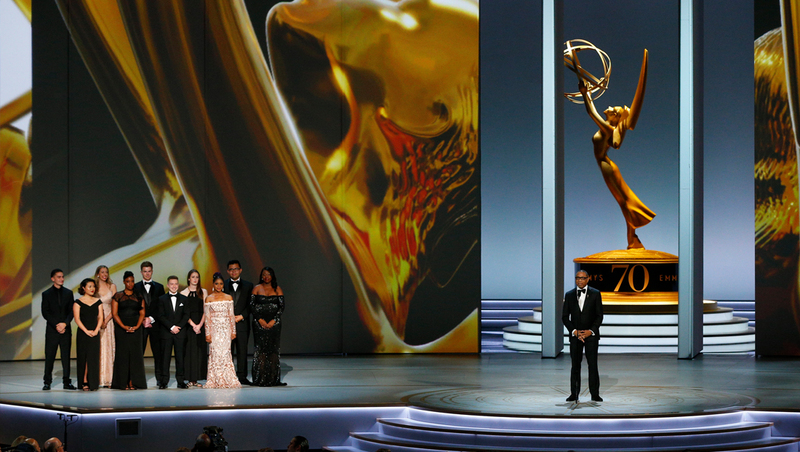 A key component of the 70th Annual Primetime Emmys telecast production design was a large, curved video wall divided into 14 tall vertical towers that could rotate on demand thanks to automation equipment and software from TAIT. TAIT’s gear and software is used around the world to track and rotate panels, LED screens and scenery — including productions for Taylor Swift, Cirque Du Soleil, The Metropolitan Opera House, NASA, National Geographic, Beyoncé and the Olympics. 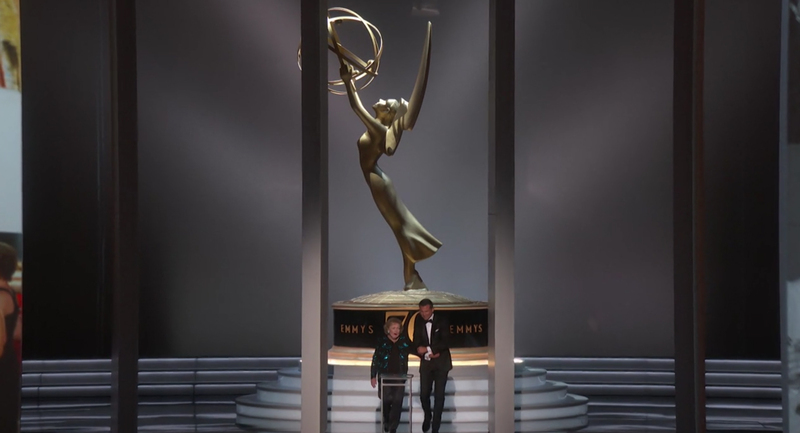 For the Emmys, TAIT was tasked with engineering custom hanging brackets so that the panels could be placed within one inch of each other to form the curve. 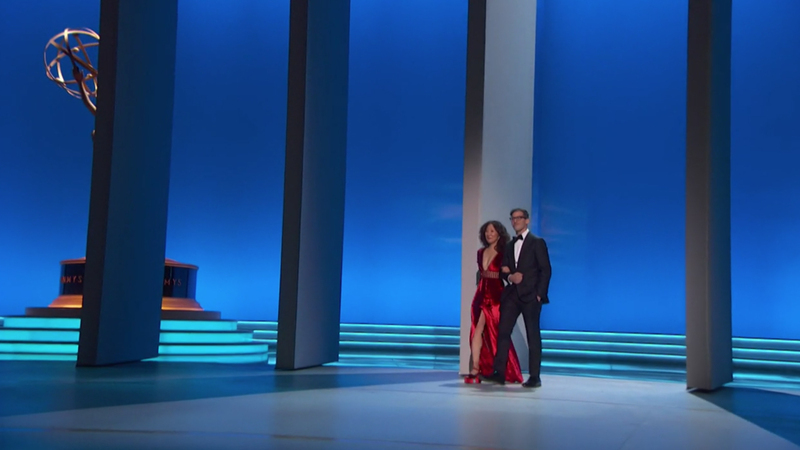 Early in the design and development process, the Emmys team opted for panels that would rotate counterclockwise on a central axis. “Several iterations were discussed but they were nixed in favor of … panels which gave the client what they were looking for — a near seamless look while automated and static,” explained TAIT’s project manager for the project, Ben Gasper. 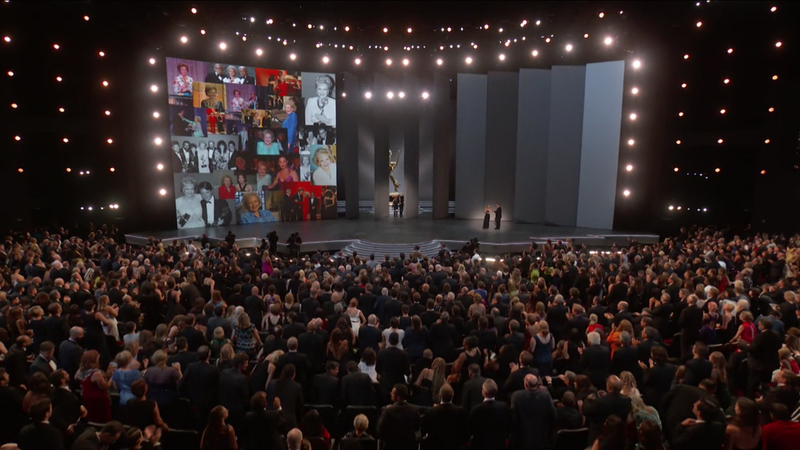 The company’s Navigator software controlled the movement of each panel and offered the Emmys team immense flexibility. “Each panel could be moved individually at any time or the whole wall could be moved as a group and anything (and everything) in between,” said Gasper. The cueing engine inside the software extended the panels’ artistic capabilities beyond simply opening and closing. Swipes and ripples to the left and right or opening outward from the center were just some of the variations created. In the end, the panels could go from flat to 90-degrees in seven seconds — although, through experimentation, TAIT and the Emmys found that speed was harsh, instead opting for a more ideal rotation time of around 11 seconds, though the speed of each panel could be individually controlled. “It’s worth noting that part of the ‘magic’ here is that TAIT Navigator was giving real-time positioning and feedback data directly to the content providers and projection teams. In this they had the ability to shade the projectors per panel, every time they moved,” noted Gasper.